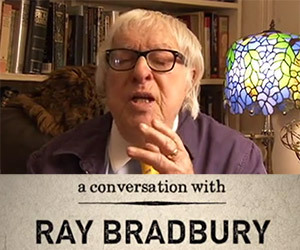 In this wonderful interview, acclaimed science fiction author Ray Bradbury describes his love for books and libraries and how he became a writer. 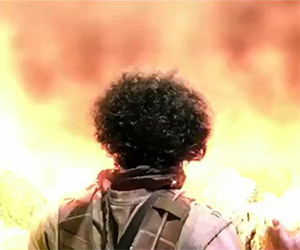 Frost and Fire is a film based on Ray Bradbury novella. While this teaser trailer looks very interesting, it appears the film was never completed. The crew of an expedition to Mars is greeted by what seems like an idyllic American town. But things are not as they seem. Based on a short story from The Martian Chronicles. 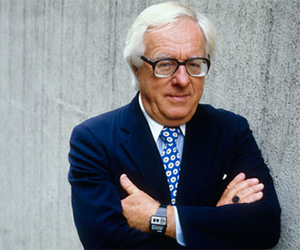 Ray Bradbury's catalog of works is finally scheduled to be made available on e-book readers. 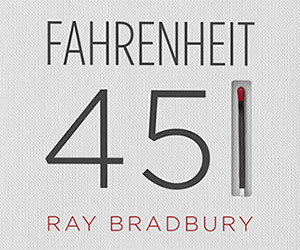 This take on the classic novel Fahrenheit 451 includes a match in the cover and a striking surface on the spine.